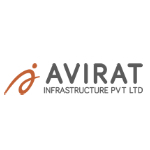 A young conglomerate formed in the year 1985 to an ISO 9001:2000 certified company, the evolution of Avirat group has been dotted with trail-blazing success. For more than two decades, Avirat group has carved a permanent niche for itself by adopting quality system standards that matches the best. All thanks to its valued customers and trusted partners who have constantly reposed their confidence in them. Today, Avirat group takes pride in being a premier integrated real estate company that has successfully turned the dreams across the length and breadth of not just Ahmedabad but surrounding areas as well, into reality. With a rock solid foundation, a formidable past and a spirit charged with endless possibilities, Avirat group has manoeuvred itself as an all-round performer. With blessing of hundreds of happy families and satisfied clientele, the company is well entrenched in Ahmedabad and stands tall on the edifices of its success by living to its commitment and client’s expectation: which is beyond their desire.